60 min class in warm room. Informed by Bikram, but with emphasis on alignment. Begin your week with a gentle practice that builds from a firm foundation. Come experience God's grace as we meditate on His word and mindfully move. specific practice for low back, neck and shoulder issues. 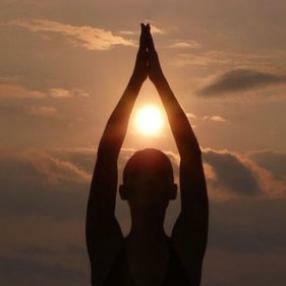 Yoga Therapy heals and restores balance by restoring our natural capacity for self-healing. Yoga Therapy addresses our health on all levels with asana, breathing practices, and relaxation techniques. 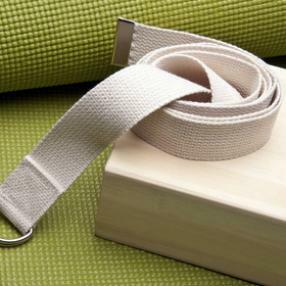 Yoga Therapy classes are helpful for stress reduction and incorporate the healing aspects of Yoga. The last 10 minutes of class is the practice of Yog Sleep honoring the body, mind and commanding emotional balance. “Art is Motion Dance” invites you to take a noon-time break restoring & re-energizing mind body with Bobbye Brown’s gentle yoga. The class is designed “4 Every Body” and affords the opportunity to focus on enhance mindfulness and asana practice. 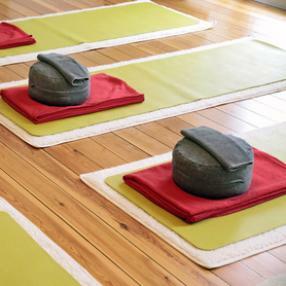 Class begins with a calming meditation and connecting with breath (pranayama). The flow of movement offers a sequence of standing, seated, and balance poses which progresses at the student’s level. Although moderate in pace, this class is a vinyasa flow practice focusing on body awareness building strength, flexibility, stability, and balance, encouraging the students to find comfort and ease in the body … like an orchestra tones up before a performance, the focus is on tuning our body to discover new pathways on and off the mat. 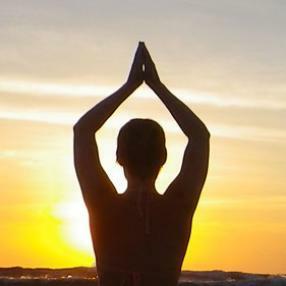 "Be the Melody in the Symphony of your Life"
Come join us as we connect the mind, body, and spirit through the practice of various gentle Hatha yoga postures, prayer, and meditation of God's Word. This practice balances the active stresses of more dynamic styes of yoga, as well as an active and stressful lifestyle. Meditative with profound changes in joints, ligaments and connective tissue. The focus of this class is stress release and gentle stretching. The class consists of simple breathing exercises (Dirgha and Ujjayi), with warmups, kriyas, and simple postures. This class is appropriate for students new to yoga as well as those with injuries.